Prime Minister, Dr the Right Honourable Keith Mitchell received a courtesy call from Japan’s Parliamentary Vice-Minister for Foreign Affairs, His Excellency Mitsunari Okamoto last Friday. 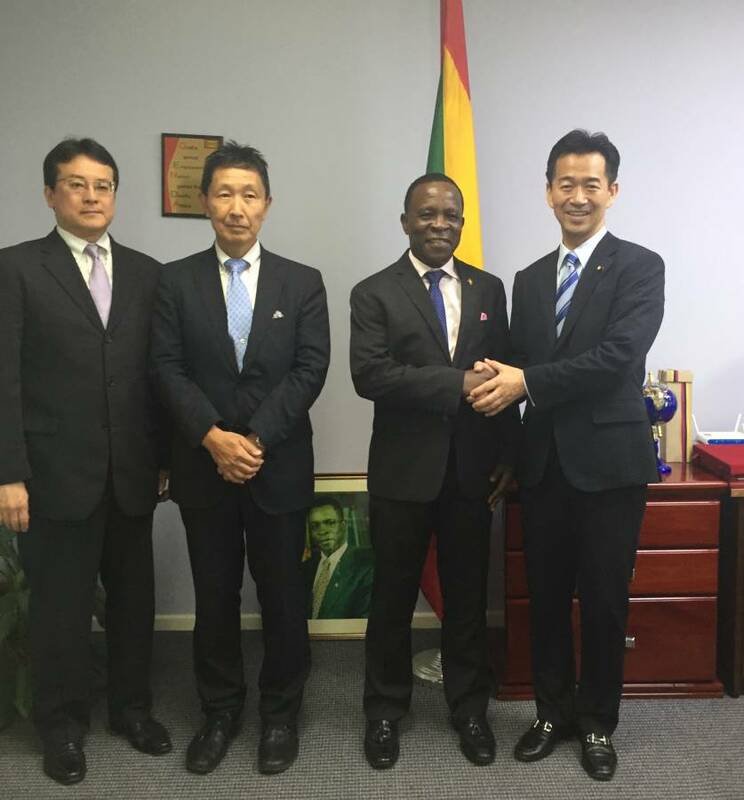 The Japanese official was in Grenada to attend the OECS Ministerial Meeting on Fisheries. The cordial discussions focused on areas for continued cooperation between the two countries given the background of shared philosophy on matters such as democracy and human rights as well as shared risks such as the impact of disasters. Dr Mitchell expressed gratitude for the long history of technical and other support provided by the Japanese Government.